If you stumbled upon this post it probably means that you’re trying to use the String.Contains method in a C# application in a case-insensitive way: as a matter of fact, there isn’t a built-in overload method accepting a StringComparison options object, hence is not possible to do that. This solution will work fine for english and latin-based cultures, where the upper-case and lower-case rules works the way we’re used to. That’s not true for some specific Cultures: think about the Turkish language, where the upper-case version of the ‘i’ letter is the unfamiliar character ‘İ’… Meaning that the strings “ICON” and “icon”, which are the same word in English, are treated in Turkish as they are two different word. /// and a [CultureInfo] object instance to apply them to the given culture casing rules. The exact same logic also applies to all other string-comparison based methods, such as Compare , Replace , StartsWith / EndsWith , and so on. That’s about it: happy coding! 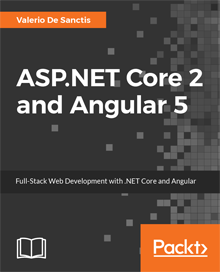 Previous Article ASP.NET Core 2 and Angular 5 reached Top #1 Trending Book chart on Packt Publishing Web Site!